There are some herbs that thrive nicely in shady areas. There are plenty of these plants, some very common ones that just love the shade. So if you have mostly shade in your yard and are worried that you won’t have enough variety to plant, here are a great variety of herbs you can consider. Echinacea is a gorgeous flowering herb and has a pinkish purple flower. It’s very useful as an herb as you may know but really beautiful in a shady place and easy to grow. It’s even very easy to grow from seed. Mint can thrive in shade as well as sun so if you have a garden that gets both it will do well either way. You can grow this from seed or from cuttings of other plants which root very easily. You can easily pot some of your outdoor mint once it gets too cold outside and grow it on your windowsill all winter. Hens and chickens are usually used for ground cover as they spread quite well. This is another one that can stand the sun but will actually thrive better in the shade. Sweet Chervil is another common herb that enjoys the shade. This is a sweet tasting herb and you can use the entire plant as it’s completely edible including the roots. If you are looking for a useful herb for your garden, this is it. On the other hand, it’s not that attractive so it shouldn’t be the main attraction. You can move some of the plants from your garden inside before the first frost and it will do well indoors. St Johns Wort will totally enjoy being placed in the shade. It has a very nice yellow flower but can tend to overtake the garden so you will have to keep it under control. Chives can easily tolerate shade and also enjoys cooler weather which makes it a candidate to leave later in the soil while it’s getting cold. It will not survive the winter but can last longer than most. Dill will gladly grow in a shady spot in your garden. It will not hold up when the cold weather comes though so if you want to keep it going repot it for an indoor plant. Lemon Balm is an absolute shade loving herb. Bees love this herb so they will be more attracted to your garden. This herb is in the mint family. Lemon Balm can also be used to repel mosquitos and you may recognize one variety named, Citronella. 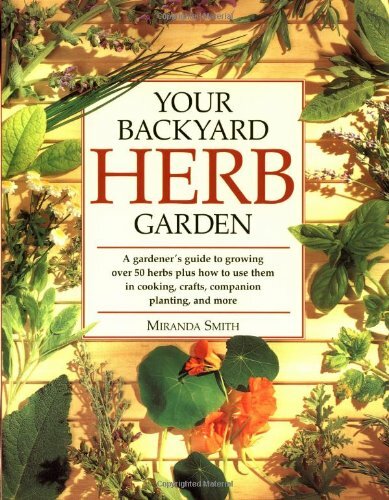 Don’t give up on your gardening efforts as you can find some interesting and colorful herbs to grow in those shady areas of your yard or garden.